Well, we're back at it this month. Thanks to a suggestion from a fellow member, the BOTM this time around is Bowman Brothers Small Batch. I don't have much to say about this one. I have had a couple of bottles of this in the past, but it's been quite a long time. From what I can remember, I thought it was a fairly decent bourbon. Of course I may be slightly biased because it was first distilled at BT before being sent to A. Smith Bowman for a second distilling and storage. Maybe a wee bit high on the price, but other than that, pretty good stuff as I recall. 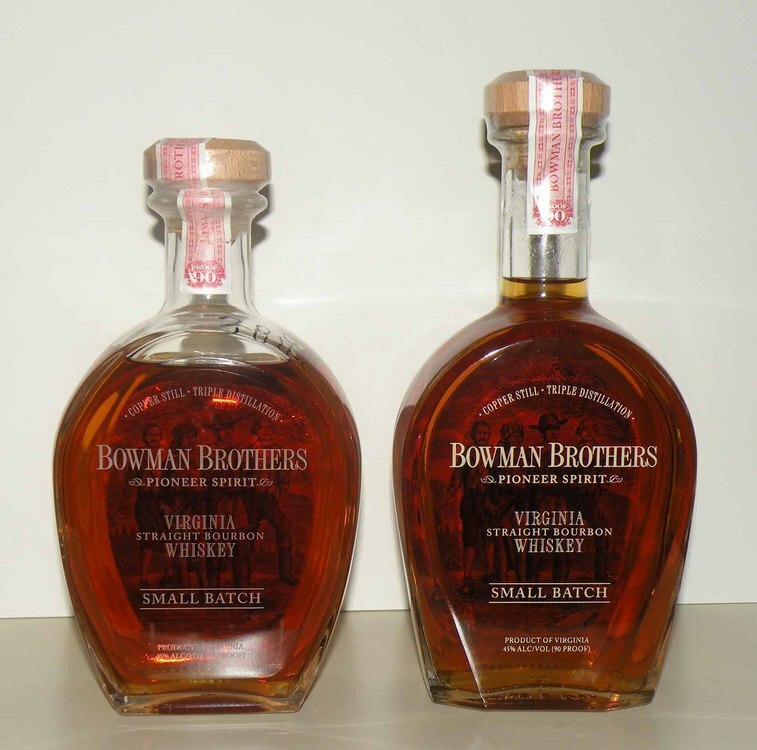 I too, have enjoyed the Bowman Bros. Small Batch, and not that long ago. I saw it in Michigan for the first time about 4 or five months ago, and grabbed a bottle, just to see how it was, compared to Buffalo Trace. It's pretty similar; but a slightly cleaner, sharper pour, and maybe just a bit sweeter, to my taste buddies. I found none of the grassy undertone that one sometimes gets in products from The Buffalo. It was a few bux more than BT, and not necessarily better, just a bit different. I liked it enough to replace it when the first one ran dry, so I guess that says something about my judgement of the value for the extra bux. The only one's I've had (and I know you've had it as well, Joe) were from a 2011 KBS Barrel C private selection. A little over 7 yrs old, easy drinking at 90 proof and darn tasty as I recall. Still have a few stashed away so it might be time to bring another one out. Considering we're co-presidents of the CRS club, I can't believe that you actually remembered something that I totally spaced. 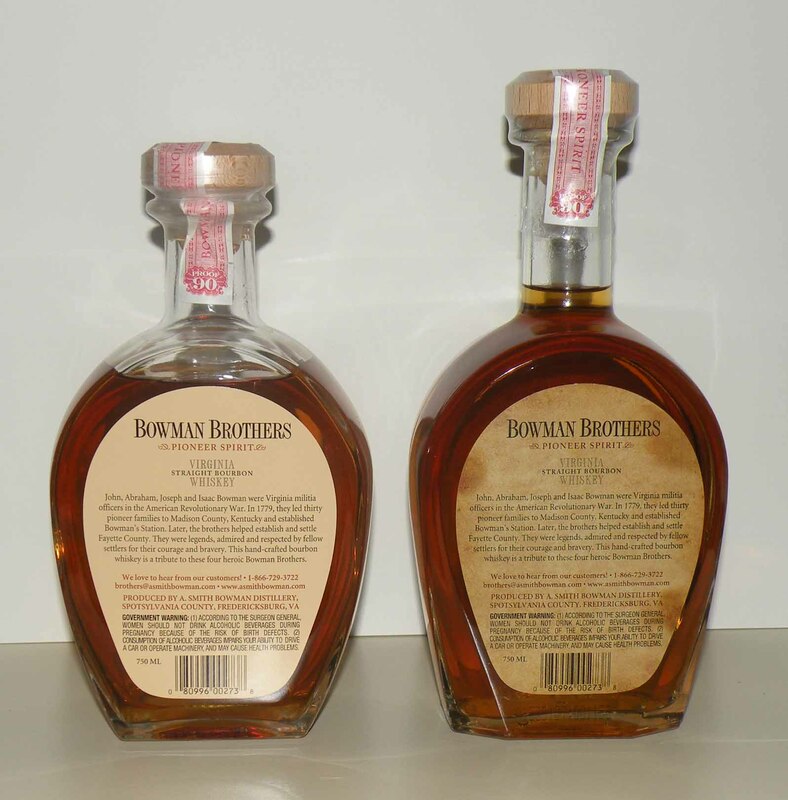 I bought the two bottles of Bowman Brothers that I previously mentioned, long after the KBS Barrel "C" ones. Since you triggered my memory though, I have to agree with you wholeheartedly. The PS Bowman Brothers Barrel "C" was mighty tasty. I guess the reason I forgot about those was because the ones I got didn't last too long. Glad someone mentioned Bowman. 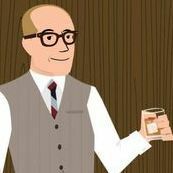 I actually really like both the Bowman Brothers Small Batch and John J. Bowman. Both hit the spot for me in terms of what they do, being a somewhat "cleaner" bourbon. The John J. especially, at least to me, has a grape candy kind of note. For me the Small Batch can be found for the same price as regular BT, so I'd take BBSB any day over the regular BT. Thanks for your diligence in keeping up with BOTM. I'm a definite Bowman fan boy so love seeing this as BOTM. This is great by itself or in a cocktail. Lots of spice with some vanilla and oak. Aged 7years according to the distillery (although its NAS so up to you to believe it or not) this is one fine bourbon especially for $29. The John J is a little more refined and complex but this one packs a nice punch. I always have one in rotation. I have a bottle of the Pioneer Spirit Single Barrel I enjoy quite a bit. Someone mentioned a "clean" taste, and I'm not sure I can exactly define that, but I agree. Just a tasty, well-balanced pour that's probably justifies the cost, at least for me. Although I first became aware of Bowman thanks to the Abraham Bowman Rye back in 2010, I've branched out to other (more accessible) whiskeys of theirs over the years. 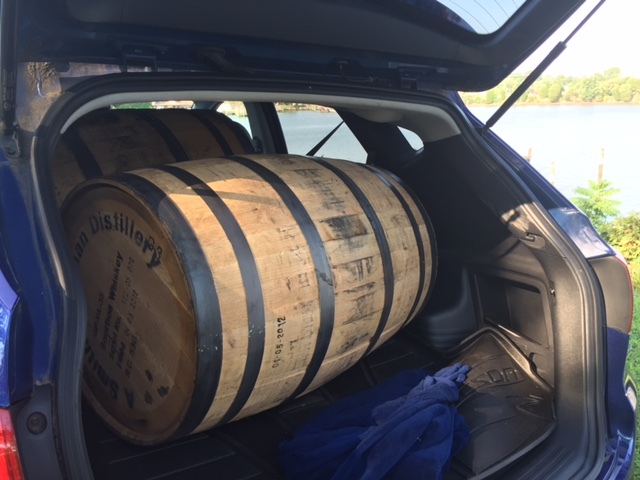 Now I buy it by the barrel. PS. on the picture above...the barrels sat in the car for a day before off-loading. Man, best air-freshener scent ever! Just glad I didn't get pulled over that week. Did a side-by-side of latest 2016 with the very first batch from 2009. I was disappointed when the Fox went away so was glad to see this come out. First day the 3 hit shelves, I bought all 3: small batch, single barrel, and rye. Loved the SB and rye, initial impression was small batch was okay. I usually sip more robust drinks than the small batch. Labels are similar. I like pouring from the newer longer neck bottle better. Side-by-side: 2009 & 2016 have same lighter color. Both have the same weak nose. 2016 taste initially has bit of honey with some notes reminiscent of woodford and WT. 2009 has a thicker mouth feel and taste more reminiscent of ER. 2009 has a little stronger flavor. Both have weaker finish, with 2009 being a little stronger. 2016 has a little more bite (though that term is out of vogue?). I like them both, but prefer 2009. As others have noted, both are balanced. Both of these would be good whiskey introductions to vodka drinkers in that they do not have strong in your face flavors like many other whiskeys. My brother picked up a bottle for me. Said the salesman mentioned it tasted similar to ETL. Any thoughts on that from those who have tasted both. I wouldn't say all that similar in general. ETL, being a single barrel offering is necessarily somewhat variable, so there are certainly bottles that will bear a greater or lesser resemblance to Bowman I'm sure. Does it bear a familial resemblance, as opposed to say Wild Turkey offerings; sure. But, not more than that on average, I'd opine. I'll echo what Richnimrod said, not the same as ETL. Not particularly similar IMO. However, I like BBSB probably the same if not a little more than ER10. Same price too. Just seems things are a little more balanced. The sweetness in ER10 that can get a little bit high is kept in check in the BBSB IMO. ... it was first distilled at BT before being sent to A. Smith Bowman for a second distilling and storage. The references to "clean" taste may be attributable to the double or triple (?) distillation. Anybody have a definitive on the number? Of course, eventually the "cleanest" taste you can get is vodka. What is the proof when it leaves BT for further distillation? That is, how do the Bowman Boys avoid pushing past 125? Finally got the bottle my brother snagged me. I was pleasently surprised. No overly complex but had good flavor. A bit sweet i would say but I really liked it. Lots of Carmel flavor and very enjoyable nose. Would recommend this to anyone to try. I found this to be a very good, complex pour...until the finish. It was just "off" and ruined the next sip and the next...I may have to give this one another shot since it is a small batch product. I might've just gotten a bad batch.